I am a big fan of camel coats and ripped jeans, but some say these two items don’t work together, LOL! 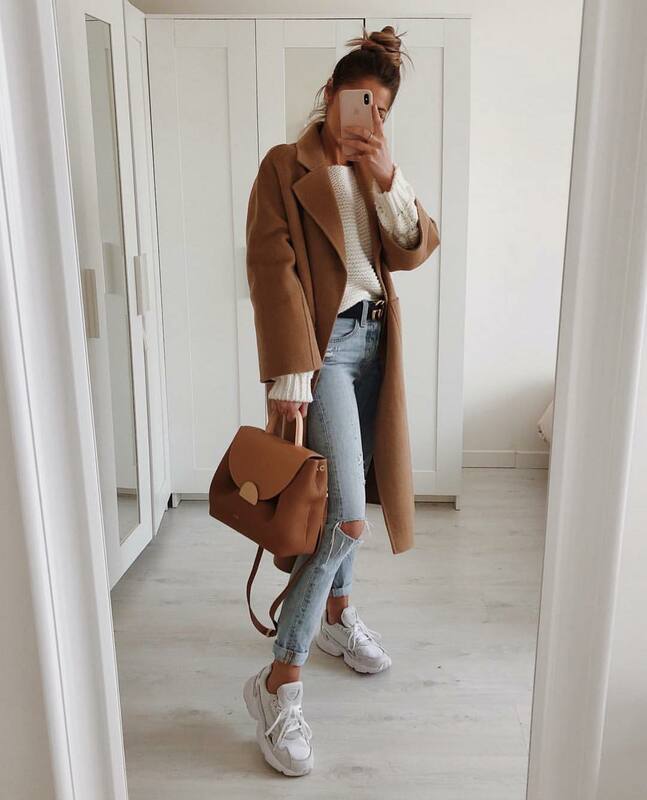 Take a look at this cool idea on how to wear camel long coat with a white sweater, knee-ripped skinny jeans in blue and white sneakers. A very simple, yet feminine athleisure idea.